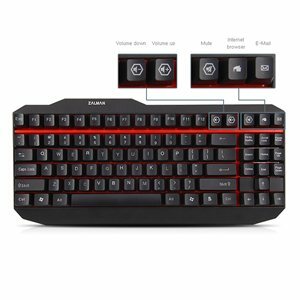 This keyboard offers gamers the best conditions by using high quality linear type high actuation force and fast response time switching. (50g actuation force). This keyboard is ten-keyless to maximise the space available on your desk or workstation and even includes 5 Multimedia Keys for easy access to various programs.